Ininis sa hukay ng dusa’t pighati. At inililibing nang walang kabaong. Ang luha na lamang ang pinatutubo. Ng kalis ng lalong dustang kamatayan. O taksil na pita sa yama’t mataas! O hangad sa puring hanging lumilipas! Are you an aspiring writer from Central Visayas? Here is your chance to grow in your craft. The Libulan Queer Collective, a writers’ bloc of queer poets, essayists, fictionists, and playwrights from the southern Philippines, in partnership with Kagis Bisaya and YOUTeacH Philippines-Central Visayas, is now accepting applications to the 2018 Cebu Young Writers’ Studio to be held in January 2018 at the University of Cebu-Banilad at Gov M Cuenco Ave, Cebu City. To be eligible, an applicant must (1) be born and/or based in any of the provinces of Central Visayas and (2) not have attended any regional and national writers’ workshops organized by reputable creative writing centers and institutes. For a Creative Nonfiction fellowship: 2 works of creative nonfiction (2000 to 5000 words each) such as nonfiction memoir, personal essays, travel writing, or other hybridized forms; or 3 micro-essays (500 to 1500 words each). This August, we will be enjoying two long weekends as there will be two consecutive Mondays in the official holidays list. President Rodrigo Duterte had signed the Proclamation No. 50. 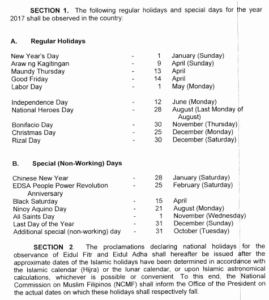 Filipinos will also have another special holiday for the observance of Eid’l Adha, but the date has yet to be announced. “People from the mountains” or Igorot are one of the many indigenous tribe in the Philippines. They have inhabited generally the southern part of Benguet and Nueva Vizcaya. 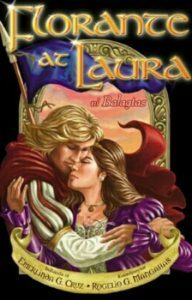 They have left so many folklores that contributed to Philippine Literature. One of which tells how the world began. Melon or Cantaloupe is more than just a cool summer snack! Besides its cooling and soothing effects, melon is a nutritious punch offering a variety of health benefits. Melons might just be the best fruits for the summer season. Melons are packed with high content of carotenoids which can prevent cancer and lower the risk of lung cancer. Eating melons regularly is effective in preventing and killing the cancer seeds that invade your body. So incorporate melons in your diet to prevent this deadly disease. ANWW is the flagship project of the Creative Writing Desk of AILAP. Annually, 10 to 16 fellowships are given to young writers from around the country who wish to undergo a week of intensive training in their respective genres, namely fiction, poetry, and essay. This year ANWW has also accepted fellows whose works pursue issues surrounding the formation of local history and memory. Contribute your works to the eleventh issue of Likhaan: The Journal of Contemporary Philippine Literature. The UP Institute of Creative Writing (ICW) is now accepting submissions for the eleventh issue of Likhaan: The Journal of Contemporary Philippine Literature. The Philippines’ leading literary peer-reviewed journal, the Likhaan Journal is published annually with funding from the University of the Philippines. It features the best of new and unpublished Philippine writing in English and Filipino. Submissions to the journal undergo a strict pre-screening and blind refereeing process by both the editors and a panel of referees composed of eminent writers and critics from within and outside UP. Ano ang kahulugan ng pananaliksik? 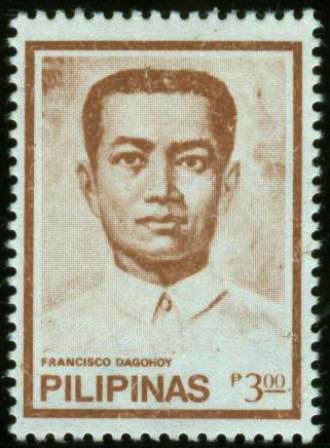 Narinig mo na ba ang pangalang Gat Francisco Dagohoy? Marahil ay hindi pa. Si Gat Francisco Dagohoy ay isa sa mga bayaning hindi lubhang pamilyar sa mga bata. Ang kanyang kagitingan ay kinikilala lalong-lalo na ng mga taga-Bohol. Si Dagohoy ay tubong Boholano. Ang pinakamahabang pang-aaklas laban sa mga Kastila ay naganap sa Bohol sa ilalim ng pamunuan ni Gat Francisco Dagohoy. Ang dahilan ng paglaban ni Francisco Dagohoy sa kapangyarihan ng mga kastila ay ang kanyang kapatid.